In December 2018, ARNECC released Version 5 of its Model Participation Rules and Operating Requirements for e-conveyancing. NSW, VIC, QLD, WA & SA have all adopted the new versions and they will come into effect on 25 February 2019 in all five states. 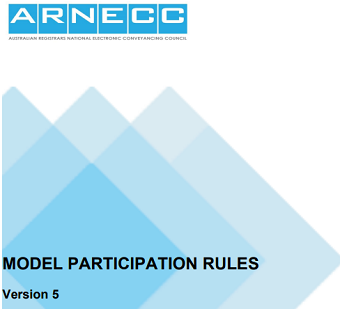 You can view a marked-up copy of Version 5 of the Model Participation Rules here on the ARNECC website. There are a few major updates in these rules outlined below. Client Authorisation Representative - When this form is signed, the Representative is authorised to act for the Client in a Conveyancing Transaction(s). Client Authorisation Attorney - When this form is signed, the Attorney is authorised to act for the Donor in a Conveyancing Transaction(s). The Donor is the person giving the power in relation to a Power of Attorney. You must ensure you're using the correct Client Authorisation Form for each conveyancing transaction. 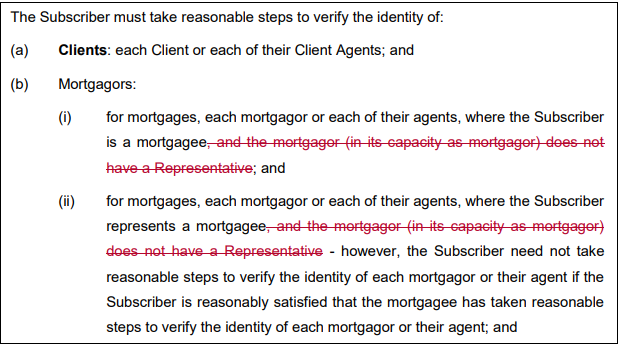 Subscriber responsibilities in relation to verifying the identity of mortgagors have been updated as below. 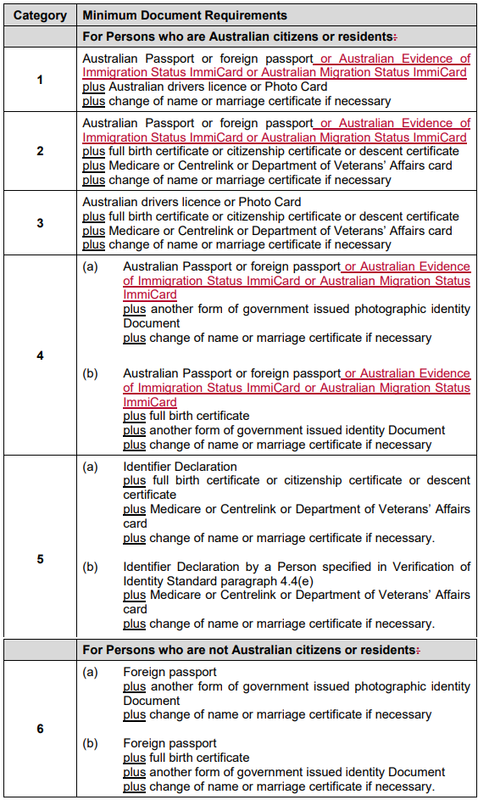 Australian Evidence of Immigration Status ImmiCard and Australian Migration Status ImmiCards are now accepted types of identity documents as outlined below. Amendments have been made to include new documents that are available for electronic lodgment and the Attorney Client Authorisation Form. If you'd like to view the adopted Model Participation Rules Version 5 for your jurisdiction, visit the links below. If you need help with electronic conveyancing, you can book a complimentary training session with one of our e-conveyancing experts here.